When it comes to Louisiana transmission line construction, new avenues are being explored and those avenues are up in the air. Helicopters are becoming pivotal in transmission line construction across the Pelican State. Flood and hurricane damage in years past have stressed Louisiana’s aging infrastructure and of course there is the always pressing need for electrical energy as residents rely more and more on technology. To answer the growing call, utility companies, local towns and municipalities as well as the private sector are reaching out to aerial transmission line construction. Helicopters aren’t new to transmission line construction. They have been utilized by power companies for decades since they provide fast, efficient installation of power poles and transmission lines. What used to take days and weeks by traditional ground transportation methods can now be down in hours with helicopters manned by highly skilled pilots and linesmen. Louisiana was named after France’s King Louis XIV. The French influence is strong throughout the 18th state to join the union though like many other US states, Louisiana has seen its share of hard times from weather related damage as well as the constant stress on the Gulf of Mexico’s oil and gas production. Industrial growth has been a top priority in Louisiana in recent years from its signature city New Orleans to its capital Baton Rouge to Lafayette to Lake Charles and beyond. Many cities including the Big Easy are bouncing back big with economic growth and industrial projects bringing jobs and more. As industry grows, the need for transmission line construction in Louisiana increases, which is why helicopter services are fast-becoming the service of choice. FairLifts is ready to assist Louisiana companies, contractors, municipalities and utility companies in the Pelican State’s industrial revitalization by helping to reserve the ideal helicopter services for transmission line construction, infrastructure inspections, logistical transport, aerial trimming and more. Our professional, seasoned staff has instant access to a growing network of experienced pilots, operators and linesmen. Let us help you procure the aerial services you require to complete your commercial or private project. Louisiana is known for its wetlands and valleys. Heavy lift helicopters are vital when it comes to moving the largest of cargos to the most out-of-the-way places. 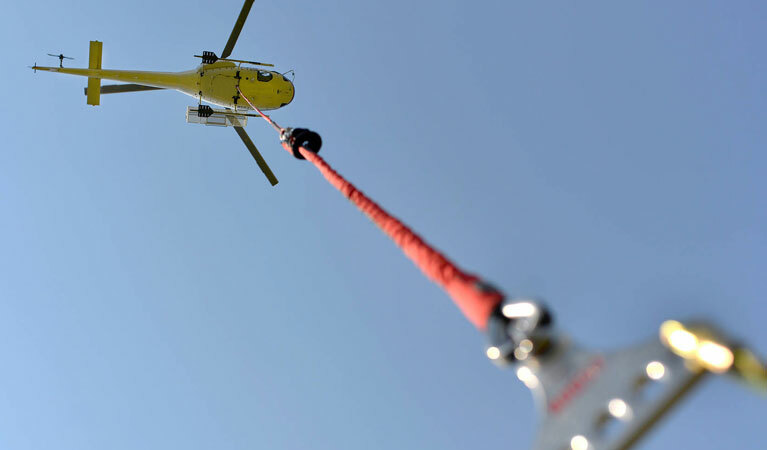 Unlike traditional ground transportation, heavy lift helicopters do not rely on road access. Stringing wires is an involved process especially when it is undertaken from the ground. The operation can take days and sometimes weeks when done the conventional way, which is why utility companies now utilize aerial services. 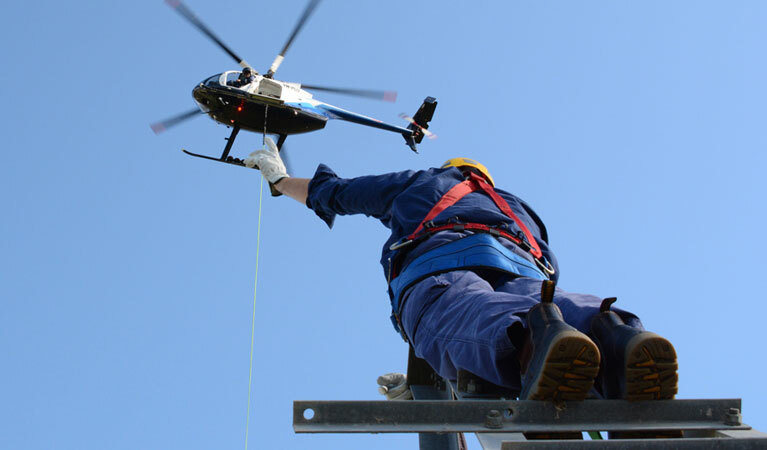 A helicopter can complete the arduous task of stringing wires in a matter of hours. Replacing utility poles damaged by accidents, weather or age is an involved process via a traditional ground operation. However when a helicopter becomes involved installing new poles or removing old or damaged ones becomes a quick, low-stress operation. Infrastructure inspections are key in preventing disasters before they occur. Helicopters provide quick, on-the-spot site inspections before and after bad weather as well as prior to commercial and private construction and redevelopment projects. Right-of-way inspections are a crucial piece before ground gets broken on redevelopment and repair projects. When you need to engage efficient, time-saving and affordable transmission line construction, inspection and transportation in Louisiana, contact FairLifts. Our professional, knowledgeable customer service staff is available by telephone or our online contact form for free quotes, consultations or to answer any questions you may have about commercial helicopter services.